Well that’s our summer adventure over with and what an adventure it has been. 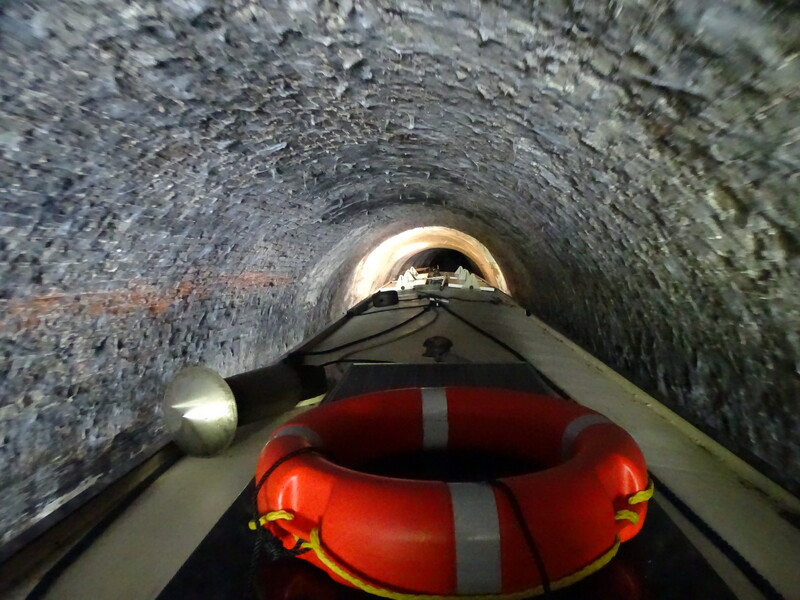 A total of 673 miles, 386 locks, 60 lift and swing bridges and 26 tunnels. 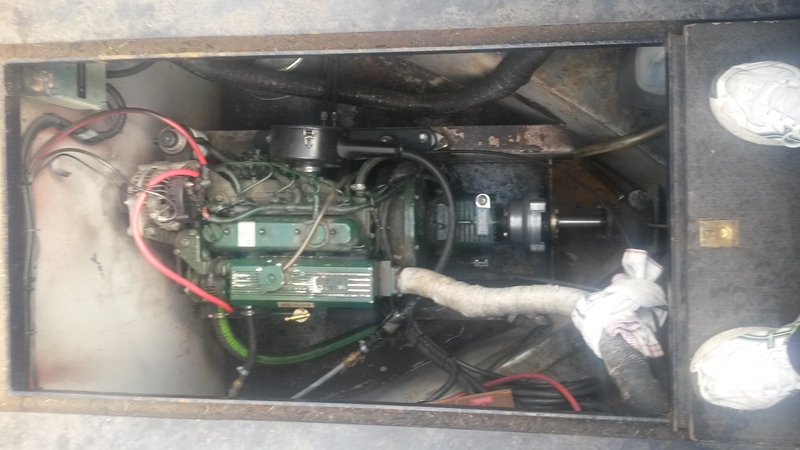 Then there were the four new engine mounts, four new batteries, one replacement fridge, about a dozen or so petty arguments but nothing too serious and an unknown quantity of lost paint. We’ve met some really tough challenges along the way but by far the greatest one is how to sum up such an experience in a few hundred words. I started off keeping a daily log of highlights but that went by the wayside at an early stage so now I have to trawl my rapidly deteriorating memory to bring back the best and the worst bits of the trip. 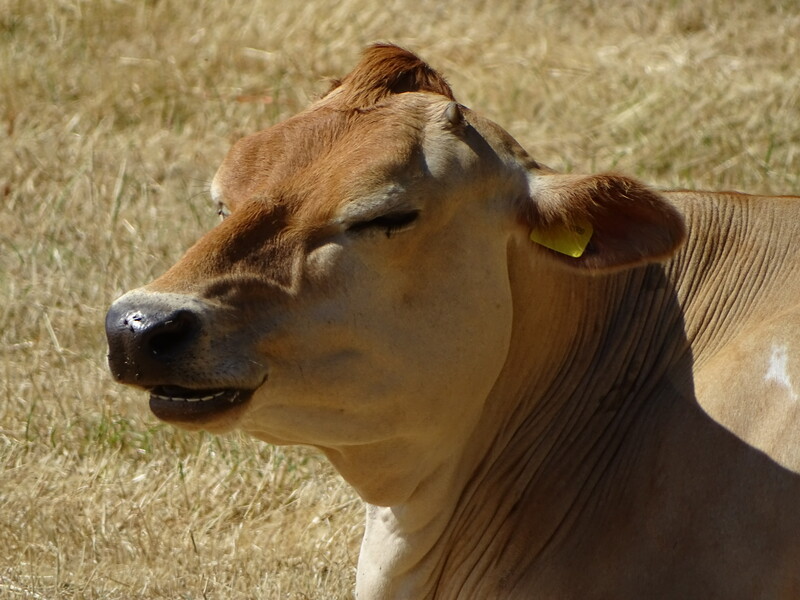 Actually when I cast my mind back the idea of best and worst makes a lot of sense because whilst I would describe the whole experience as hugely positive there were some difficult and unpleasant times to add balance and perspective. I hated the appalling abuse of the canals in some places, particularly in towns and cities where they are seen by some people as convenient places to discard all manner of rubbish. 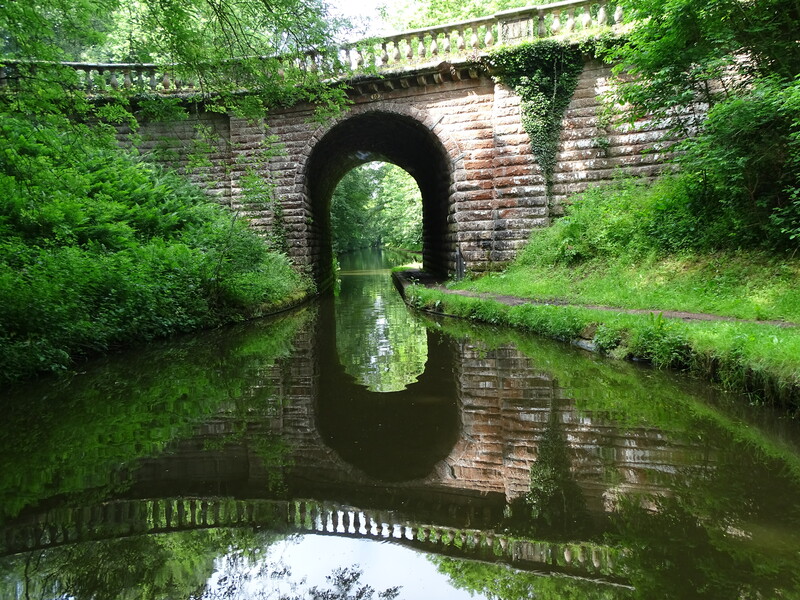 On the other hand some locations such as the Montgomery canal in Wales were amongst the most beautiful and peaceful locations I have ever spent time in. Idyllic landscapes full of an abundance of wildlife which probably represented about seventy five percent of the journey and even in the industrial parts there was always architectural and historic interest so I certainly don’t want to dwell on the bad bits disproportionately. The fact that the backdrop to most of the last five months was a summer like nobody under the age of forty has ever enjoyed before helped to make what would always have been a great trip into an exceptional one. 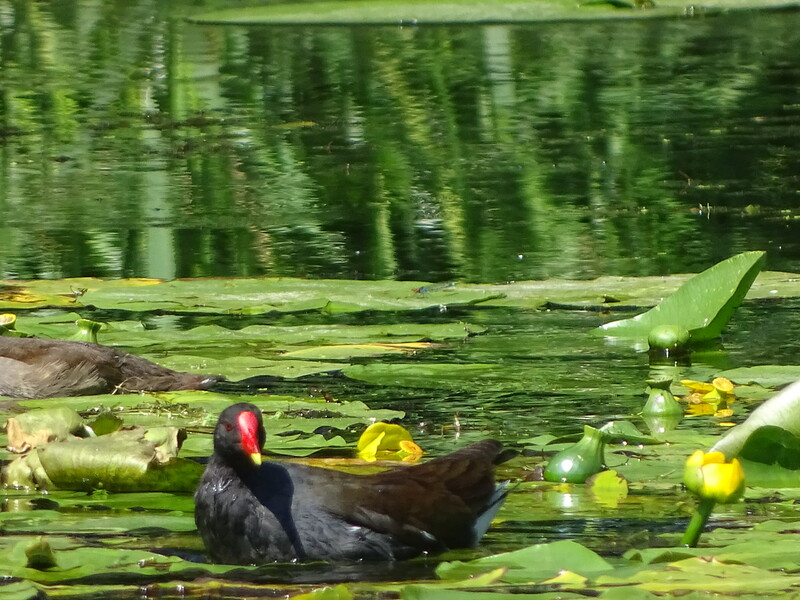 On many days we were leaving our moorings before seven in the morning and looking for a shady spot to stop by midday. 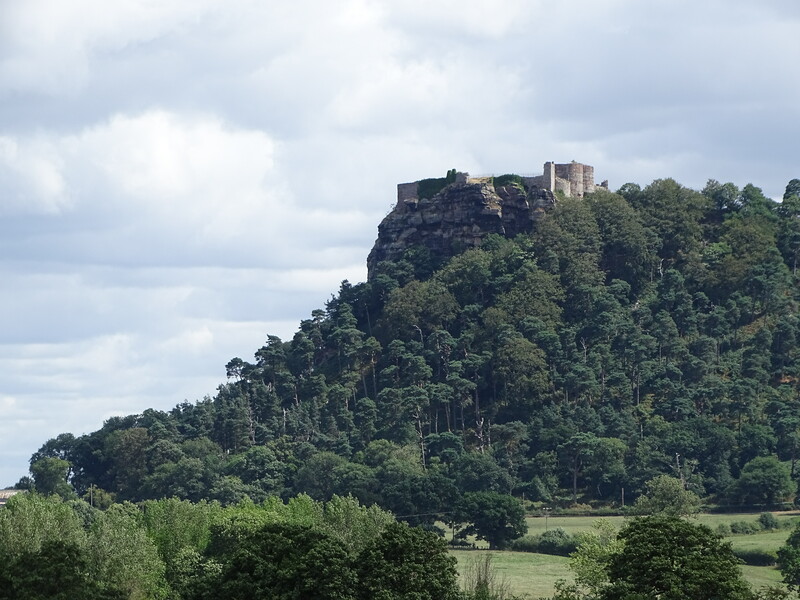 I am almost relieved that the final four weeks were a bit of a mixed bag of weather if only so that we could experience a more typical period of cruising. Highlights that spring to mind when I wander back down memory lane are certainly the journey into the heart of Liverpool and a wonderful week there exploring that fine old city and its culture. Meeting and making new friends amongst the boating community and all their generosity in giving advice freely and without any hint of patronising whilst treating us as if we have been amongst them for ever. 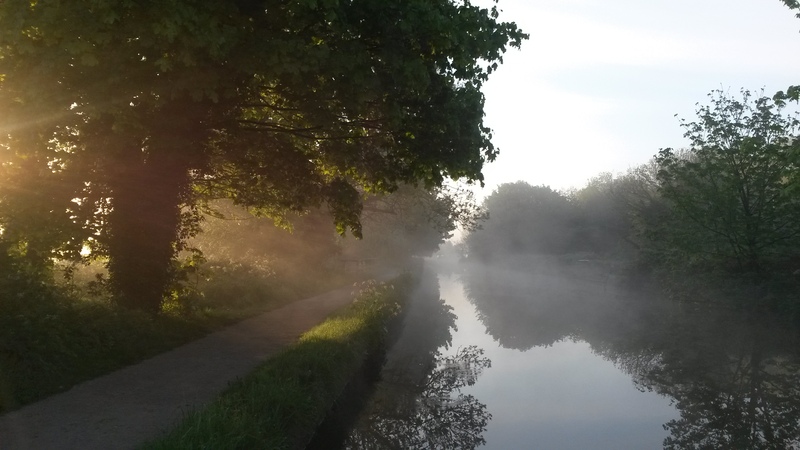 Stunning sun rises and sunsets, especially on those magical occasions when the sky and trees were perfectly mirrored in the surface of the canal or the mist hung gossamer like over the water. 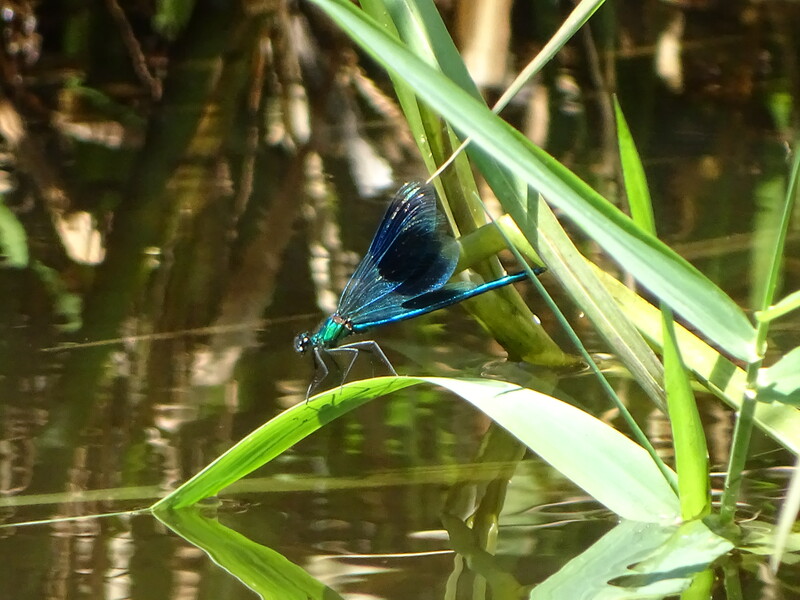 Dazzlingly bright and colourful dragon and damsel flies and the incomparable blue of the kingfisher. 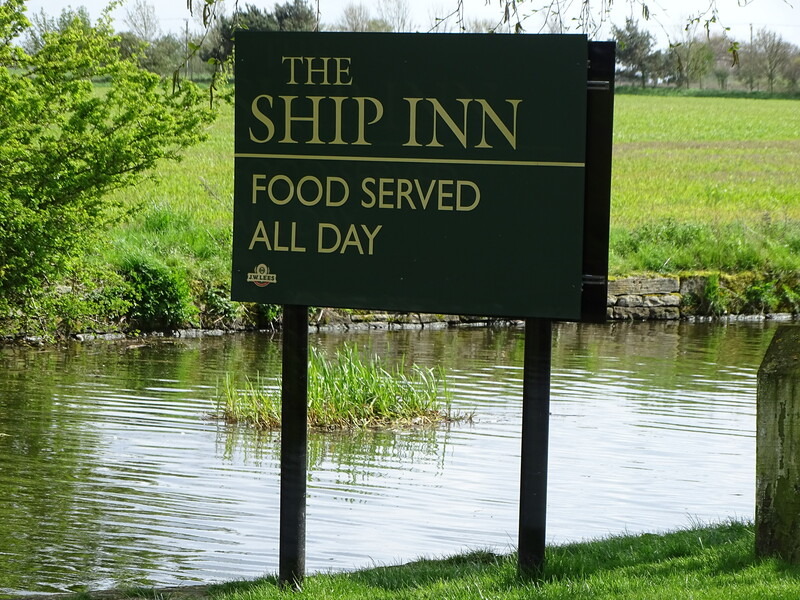 Stumbling on a picture perfect canalside pub and making an impromptu decision to end the day there or more often, to mark it down as one not to be missed on the return trip. Sitting in the late evening sun sipping a previously undiscovered local ale whilst perusing the menu and choosing our dinner. I confess that we did that far more often that we planned to because it was just so much fun. In fact one of the biggest problems of the trip was remembering that we weren’t on a two week holiday with unlimited funds. 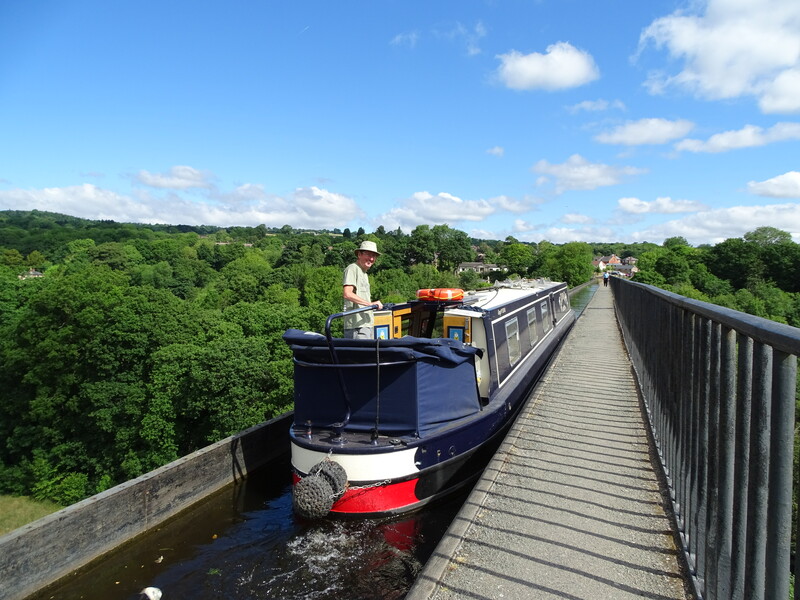 There were long dark tunnels such as the Harecastle and dizzyingly high aqueducts like the Pontcysyllte which were unforgettable for being both challenging and rewarding in equal measure. Bucket list items for most boaters and now well and truly ticked by us, twice! 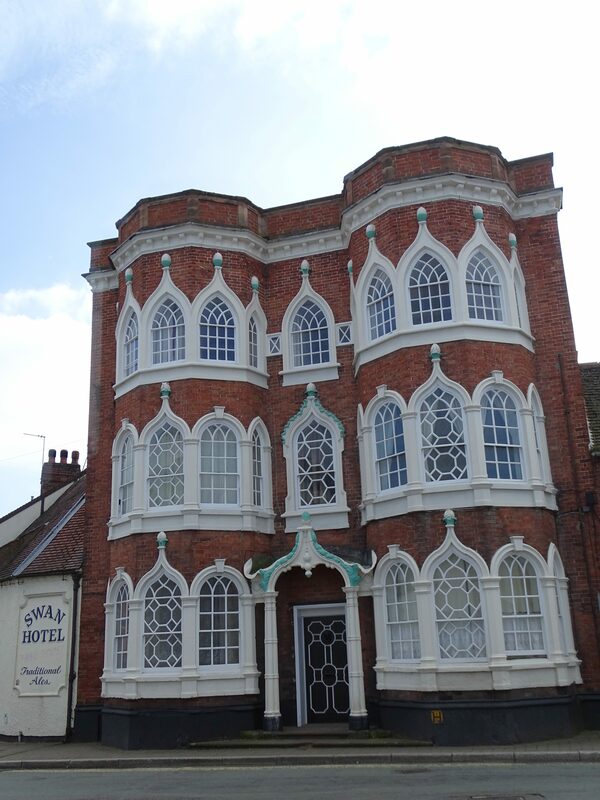 We encountered many fascinating towns and villages, often with histories intimately interwoven with the arrival of the canals like those based around the salt mines in Cheshire or the potteries in Staffordshire. 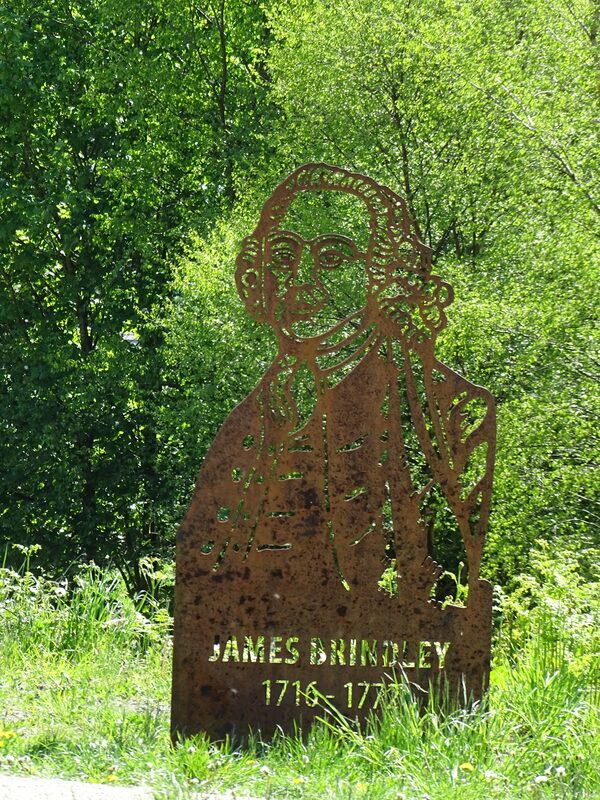 The amazing engineering achievements of individuals such and James Brindley and Thomas Telford provided a fascinating background to our travels. 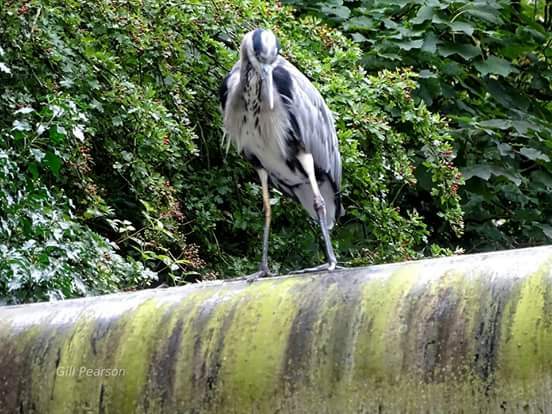 From simple yet ingenious lock mechanisms to the goliath that is the Anderton Boat Lift, there was always something of interest to investigate and enjoy around every bend. It is humbling to navigate those waterways that only exist because of the ingenuity and bravery of the designers, not to mention the sacrifice of blood, sweat, tears and even lives of the navvies that dug them. The many historic boats that we came across, both original and reproduction were beautiful and impressive but also a constant reminder of a brutally cruel bygone way of life which couldn’t be further removed from our pampered meanderings. There was plenty of time standing on the back of the boat to consider the history of the canals and the industry they served. I sometimes wondered what those tough, hard working bargees and their families would have thought of our centrally heated home with all its conveniences of fridge, freezer, TV and washing machine. Their only focus was moving produce and materials whatever the weather and conditions. Comfort and living space was sacrificed to maximise carrying capacity and potential to earn with couples living in the tiniest of cabins and children often forced to sleep on top of whatever cargo happened to be in the hold. Not only did those people represent the reason for the canals existence but they are also now a source of endless fascinating social and industrial history that adds to the nature and beauty of the canals we travel today. We met some amazing people while we were away, some of whom will now be friends for life. We travelled for days and sometimes weeks with others, leap frogging them as we moved from village to town but often mooring up together to enjoy an evening exchanging tales that grew taller with each passing glass of wine or beer. Like most people with a common interest there is a camaraderie amongst boaters that means that you are never really alone. I have heard the two thousand miles of waterways described as a linear village and even with our limited experience I understand why. 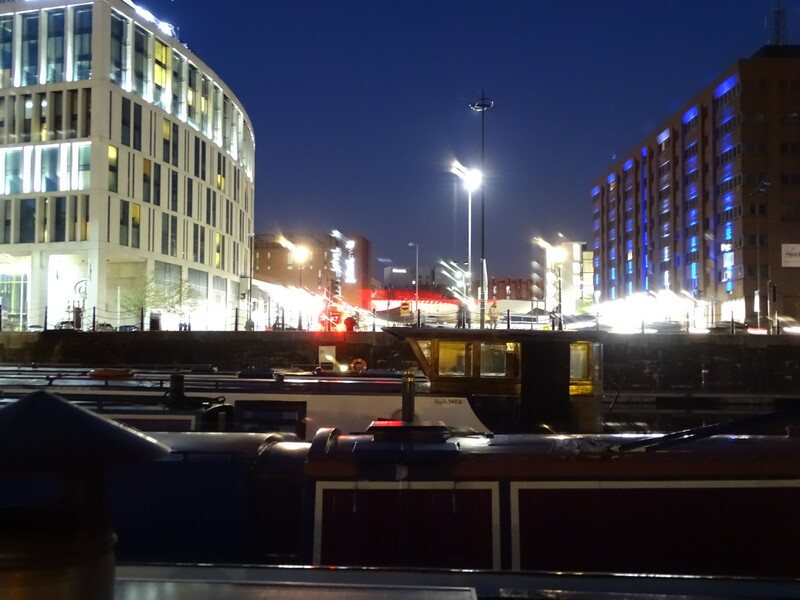 We would often get talking with fellow moorers and discover that we had common acquaintances on the network, even bumping into boats from our home marina in Lancashire. It didn’t take long to feel as if we were part of a very disparate but strangely interwoven community. An extended family of very different individuals all bound together by a common thread of life on the water and all the joys and challenges that it entails. I’ll leave you with one more set of statistics that for me sum up the magic of our summer on the Golden Girl. 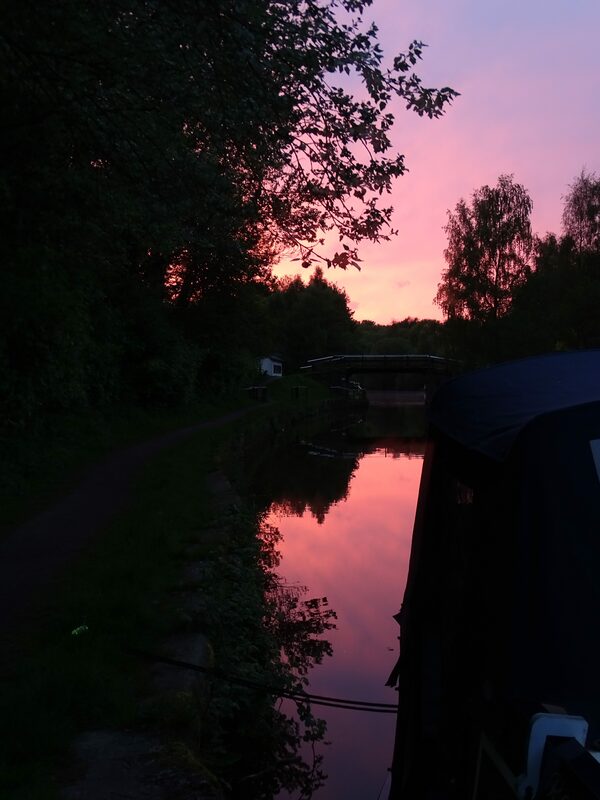 It was a perfectly still, warm summers night and I was reluctant to leave the back of the boat despite the darkness; surrounded as I was by two hooting tawny owls, one screeching little owl and a total absence of cares in the world. We may have broken a record of some kind today having covered a total of one and a half miles before mooring up for the night. The achievement hasn’t come easily, we have had to work our way down with a couple of five mile days and then a three and a two until distances and times become meaningless and what dictates our stopping place is all about location. I think we made our break through on the day that we stopped for an early lunch in a beautiful elevated location and never got round to starting again. It’s amazing how much time you can spend sitting on the back of the boat watching the wildlife and just being lost in the peace and quiet. 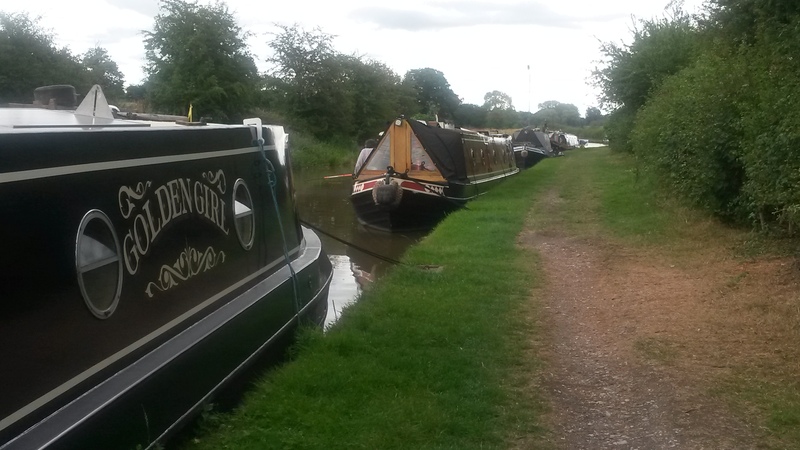 We spent last night at a place called Tyrley Wharf just outside and above the small town of Market Drayton. It was another case of stopping before we had really got started but we were so struck by the setting and the weather was so enticing it seemed like as good a place as any to pass an evening. 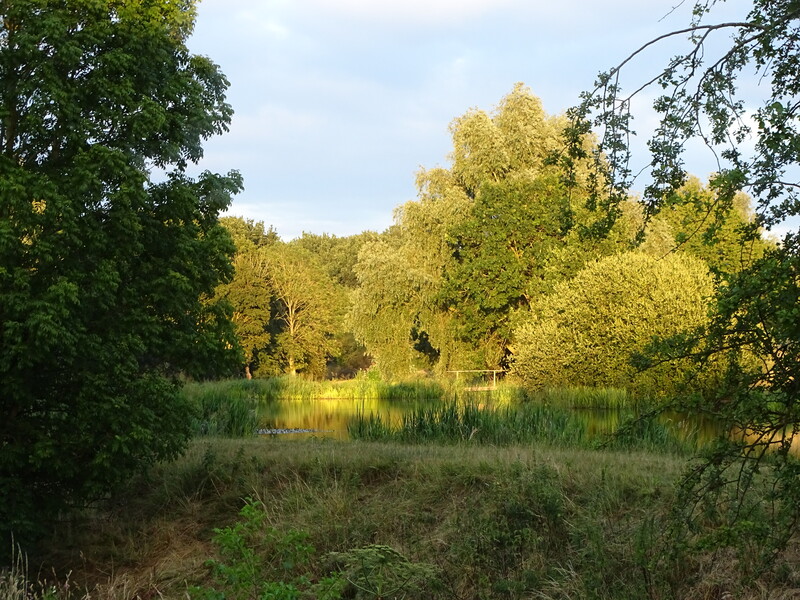 We were actually so close to the town that we were able to walk down the flight of five locks and do a bit of shopping for our evening meal but we weren’t tempted by bright lights and strolled back to our quiet backwater. Our mooring was in the shadow of the old wharf cottages and associated buildings which have all been lovingly restored and converted to accommodation. Sadly the ale house that served the old working boatmen didn’t survive. We had no phone signal or TV to entertain us but it didn’t matter at all. 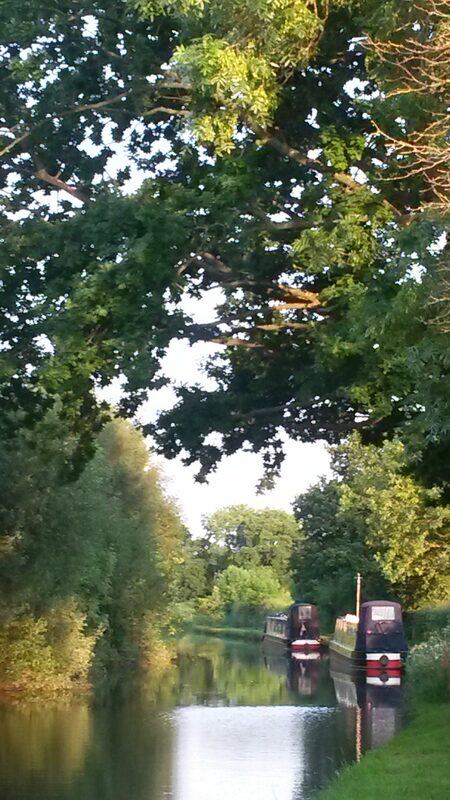 There were other boaters to while away the time with and as the evening sun went down the bird song and activity more than competed with anything that the BBC might have to offer. 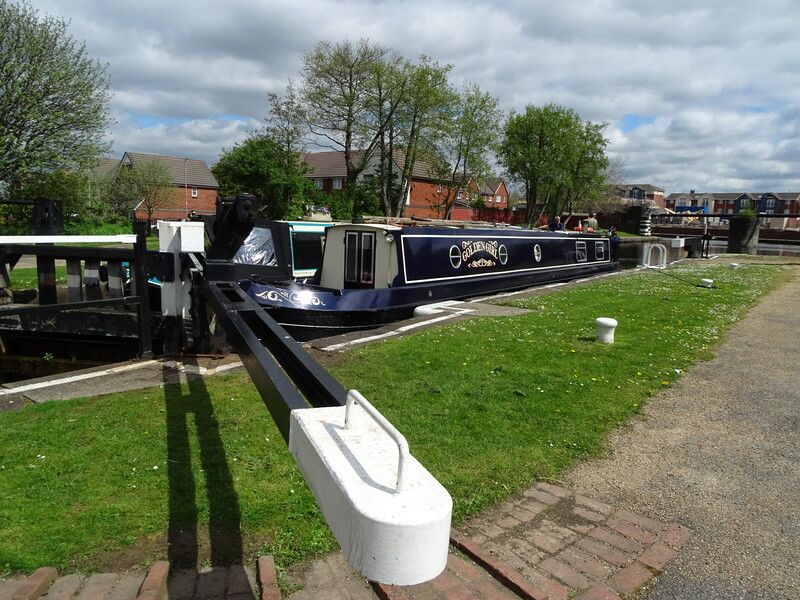 In the morning we topped up with water before beginning the descent of the locks in more glorious sunny weather intending to travel beyond Market Drayton and another set of five locks. An elderly couple on a very old traditional boat were behind us in the queue for the first lock so as the lock was ‘set’ and it didn’t need filling we let them go in front of us to save them a bit of work. Big mistake. 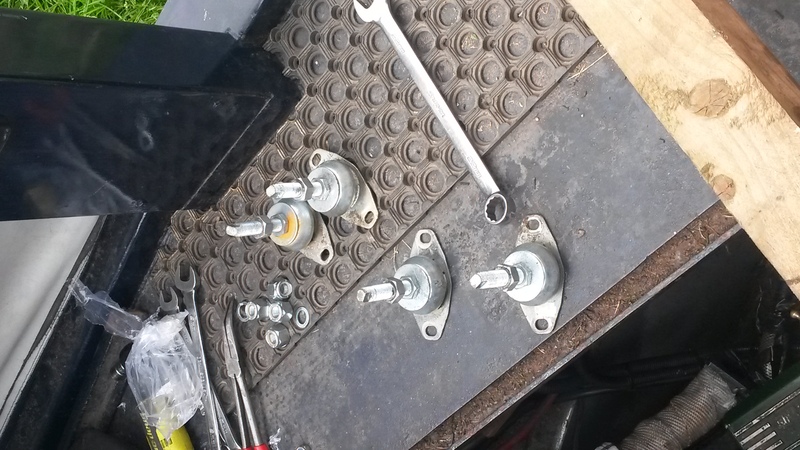 As we walked down and back up the flight yesterday we had learned that these particular locks had a few tricks up their sleeves just waiting to catch out the unprepared. One boat had become completely stuck on a concrete shelf just as we were passing and other boaters had warned us of fierce by-washes that could push a boat off course and onto the shallow off side banks. 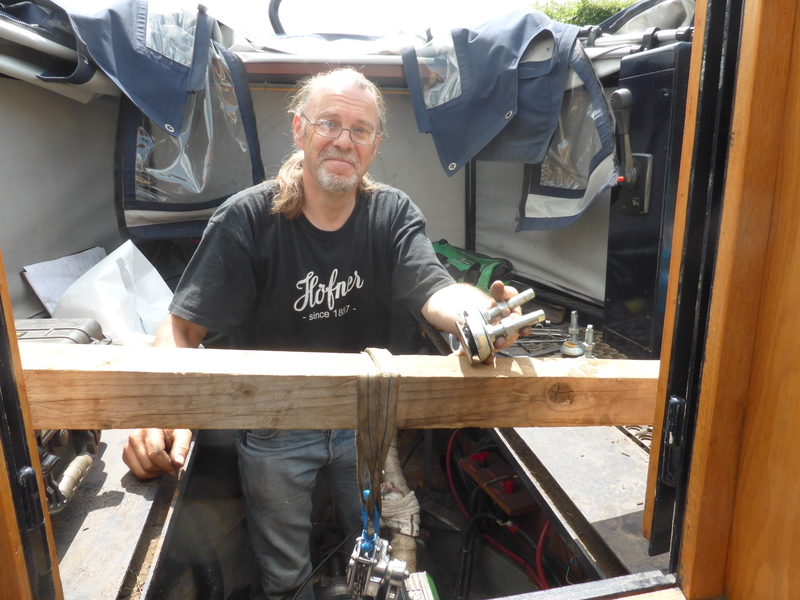 With the help of a friendly volunteer lock keeper we passed through the first two locks without too much problem but then things started to get complicated. 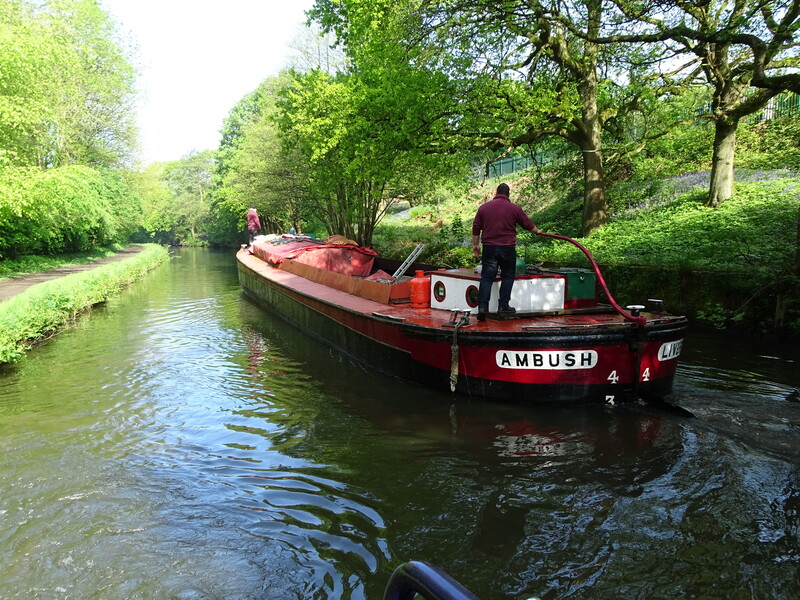 Other boats were coming up the locks so there was a bit of careful manoeuvring around each other and then on entering the fourth lock everything came to a halt. It seemed that the people on the old boat that had gone ahead of us had been washed to the off side by the strong current and then having got themselves unstuck had fallen foul of the concrete shelf on the other side. All movement of boats through the system came to a standstill and I found myself sitting in an empty lock for half an hour. 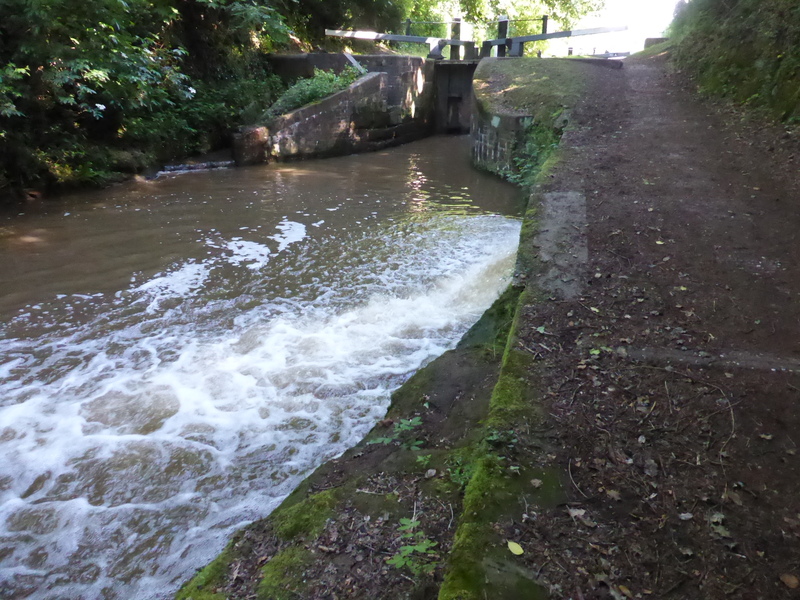 This was the lock with the very strong by-wash at its exit and I was grateful to pick up a few tips from the lock keeper while I waited. It seemed that the trick was to use power to drive through the current and head for the next open lock in the manner of an express train entering a tunnel. The difference of course is that express trains are on rails and can’t really miss the tunnel, whereas I was not and the prospect of missing the entrance to the lock with sixteen tons of steel moving at full tilt wasn’t worth thinking about. These locks are much longer than our boat so I backed up and took a run at it. I’m not sure which was running faster, the by-wash or my adrenalin but with a bit of a shimmy and a hasty application of reverse I managed to land myself in the target hole without destroying anything more substantial than my nerves. That was quite enough excitement for one day so with a mile and a half of travel and five locks behind us we pulled up in the town and put the kettle on for a calming cup of tea and a second breakfast. What defines a holiday? 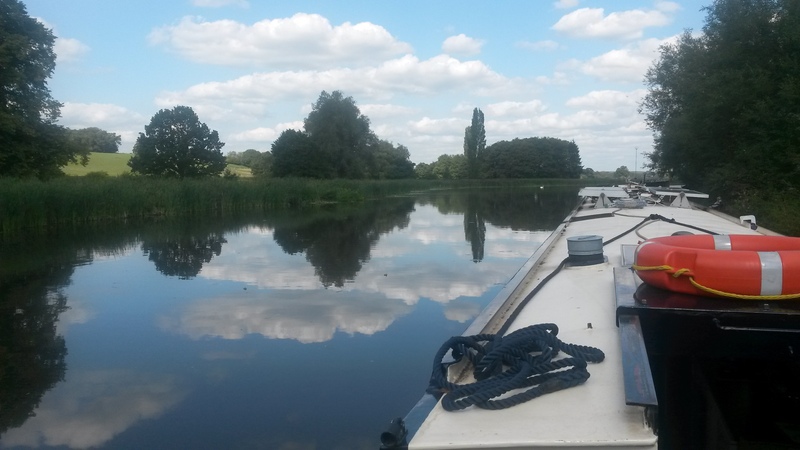 I have been pondering this conundrum because somebody on a narrow boat interest group on the internet posed the question; “Do you feel like you are always on holiday no matter how long you have lived on your boat?”. I would have said that a holiday is a break from work, responsibilities, worries and day to day routines. 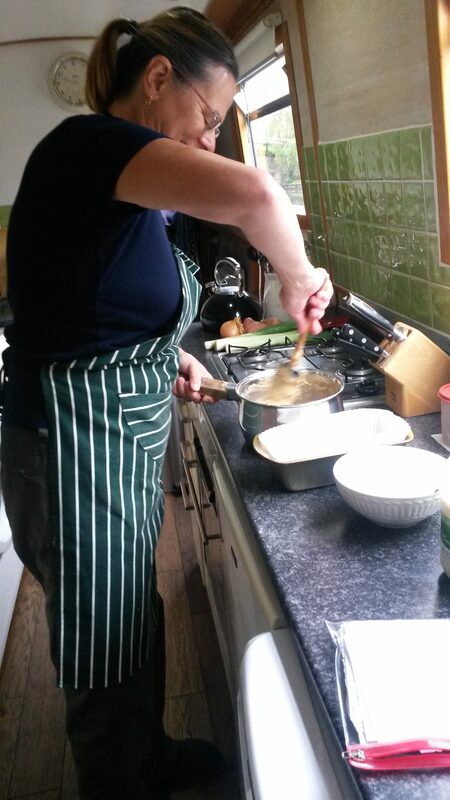 It normally involves lots of changes, such as location, activities, eating and drinking habits and people. I suppose you could wrap all that lot up with the word ‘different’. A holiday is very different from your normal daily life. 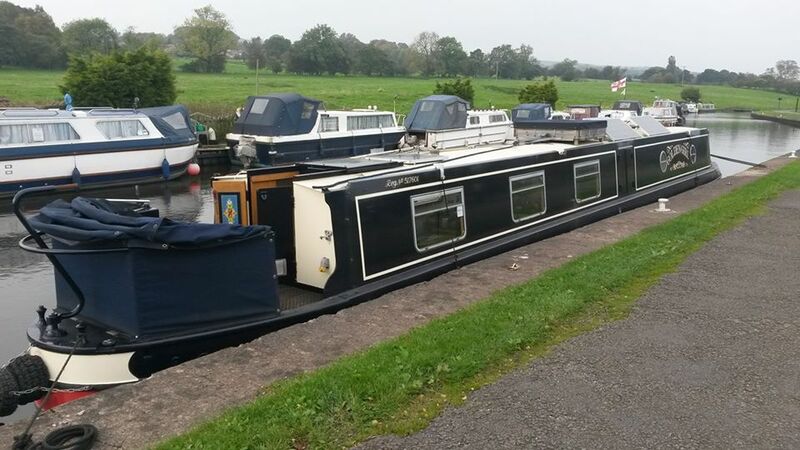 So here’s a question; if you live and travel on a narrow boat all the time are you always on holiday or never on holiday? It feels like a holiday but it doesn’t match my definition. One or two of the respondents to the question on the internet replied that they had lived on their boats for five, ten or even twenty years and still felt like they were on one long holiday. Maybe if this wonderful weather breaks or something serious goes wrong with the boat it will all feel different but for now I’m just happy to just go with the flow and assume that the holiday will last forever. 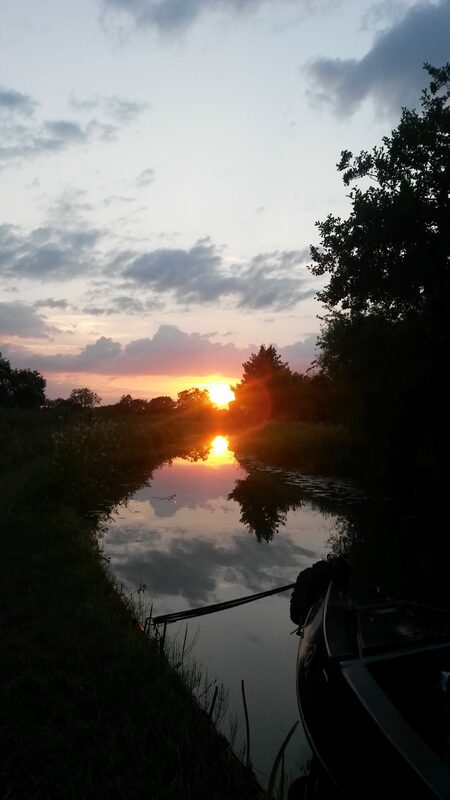 We are now on our fifth canal, the Shropshire Union and very beautiful it is too. 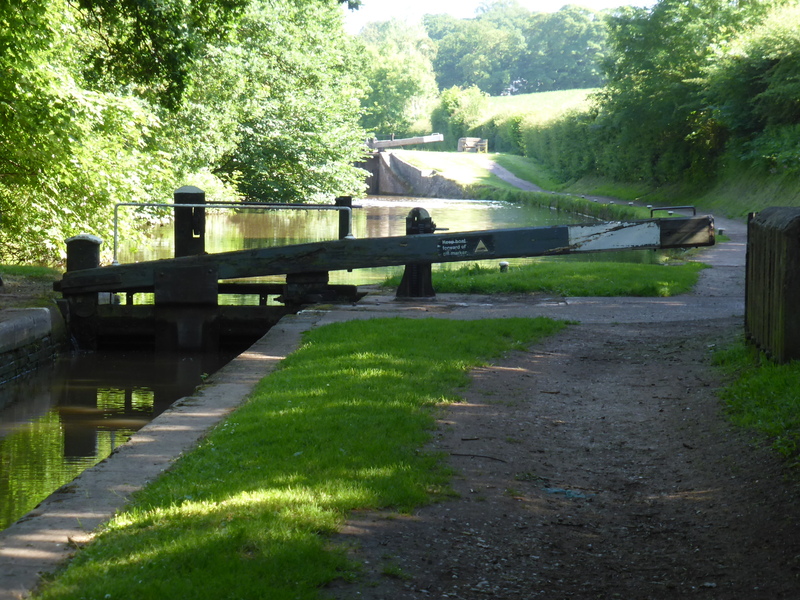 We joined it via a tight turn off the Staffordshire and Worcestershire canal and straight into the mouth of a lock. I’m still working on my manoeuvring skills in these situations so to see a small crowed gathering on the tow path as I began my turn was a bit daunting. They were ramblers and I assumed they would carry on walking but no, they all stopped and began to discuss my chances of success amidst speculation as to how much damage might result from failure. I was relieved to make the corner without incident but then bitterly disappointed that I actually had to ask for my round of applause. Really, some people want entertaining for nothing! Yesterday was a bit of a landmark in our journey because not only did we come to the most southerly point in our route and begin to head north, we also said goodbye to two people who have become very firm friends over the last few weeks. A chance meeting when we were having maintenance done on the boat led to a vague plan to travel with Bob and Marie and their boat Rebecca once we came back from our Liverpool break. They just happened to be going in the same direction at approximately the same time so we agreed to try travelling together and see how we got on. These arrangement can be tricky of course and if it turns out that you don’t hit it off you can’t just part company that easily. When you are both going in the same directions and with a top speed of four miles per hour, it’s not easy to give another boat the slip. The solution was to a have a very frank, upfront conversation and agree that either couple could end the arrangement without explanation at any time. Well that turned out to be a wasted conversation because we got on like a house on fire from day one and we haven’t stopped laughing for three weeks. Sadly, Bob and Marie are on a different time schedule to us so we have had to say goodbye and agree to travel together again another day. 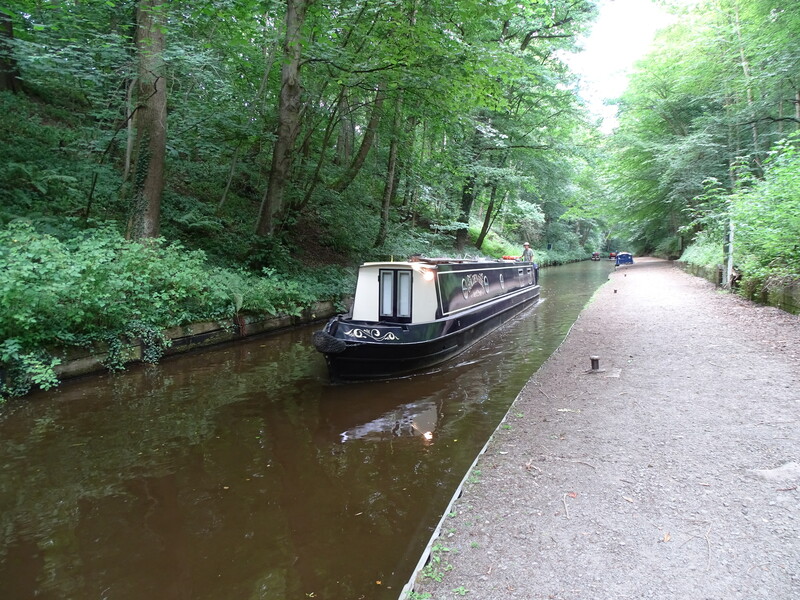 Since leaving Stone our confidence has been rising as we have cruised through the locks with calm efficiency, negotiated on coming boats at blind bends with casual aplomb and even dealt with our first visit to a marina full of boats to obtain fuel without causing any damage. Nothing has really phased us but then nobody told us about ‘The Narrows’. 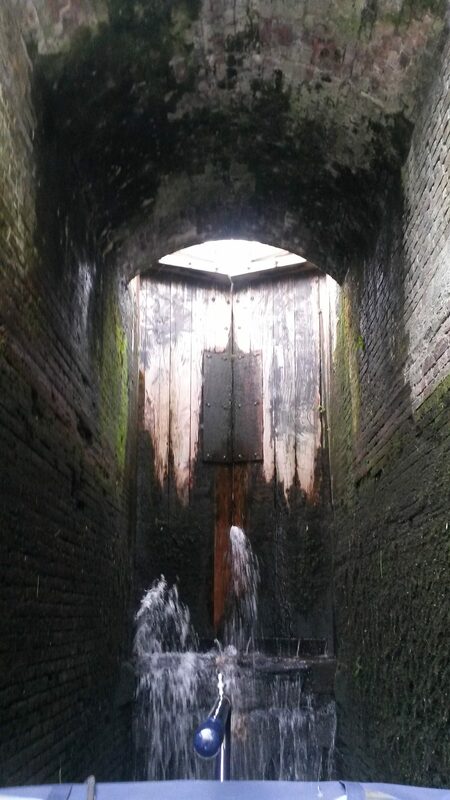 It seems that in this corner of Staffordshire the canal builders came up with a cunning way of dealing with changes of level that didn’t require a complex and expensive lock. They simply dug a channel through solid rock to maintain the even gradient of the water. That’s a fine idea but digging through rock is time consuming so they halved the problem by only digging the cuttings half the width of a normal canal and only slightly wider than our boat. Some of the cuttings are short and you can see if there is another boat coming and hang back. 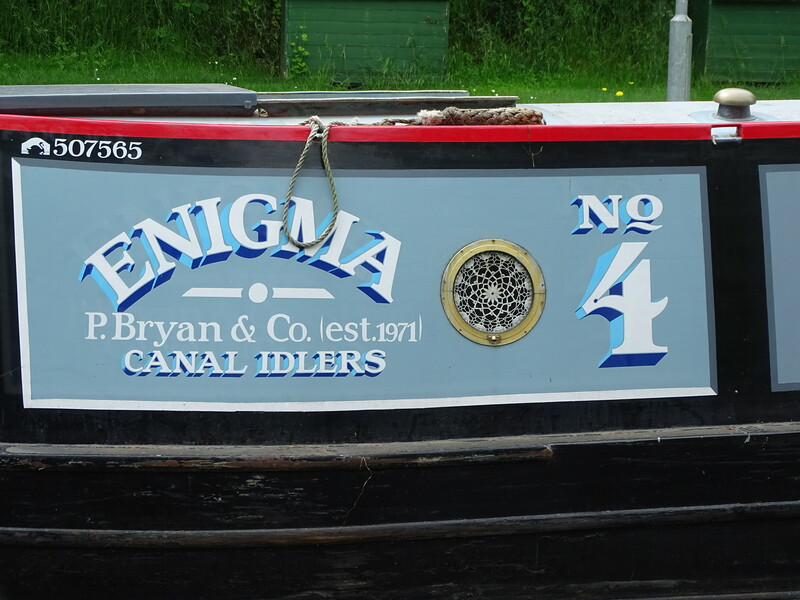 Others are longer, not straight and you enter them with your fingers crossed and You Tube videos of how to reverse a narrow boat running through your head. So far we have been lucky and not met anybody head on but I know you are all now just waiting for our luck to run out because that will make a much better story. I hope I never have to tell it. Just a quick reminder if you missed the last blog, I am now updating a map that shows you our route around the system. Click here to see it.